If you don’t have a pair of sock booties, here’s why they are a must. Products L-R: Boohoo, GoJane, Pretty Little Thing, and Akira. Do you own a pair of sock booties? I certainly hope so because this style is trending in fashion. Sock booties, as you probably know, are boots that have a sock-like material covering your ankles. If you ask me, Kanye West is responsible for this trend — he first popularized the look with his Yeezy Season 2 collection. Due to his line being super expensive, some creative individuals started making their own sock booties. They would buy a sock, make a hole big enough for the heel to fit in, and then put the sock over the heel. Simple right? This was called the $5 hack. Here’s the great news: You can now buy affordable sock booties! Due to this style being so popular, it’s available everywhere. 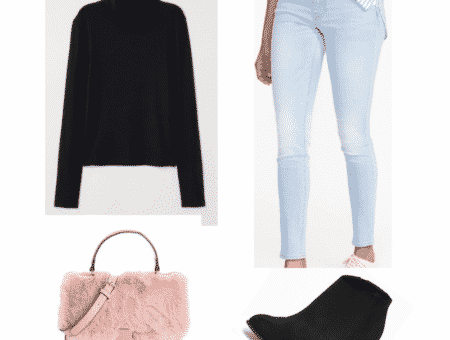 I’ve put together some sets to show you how to style sock booties when going to class and a night out. 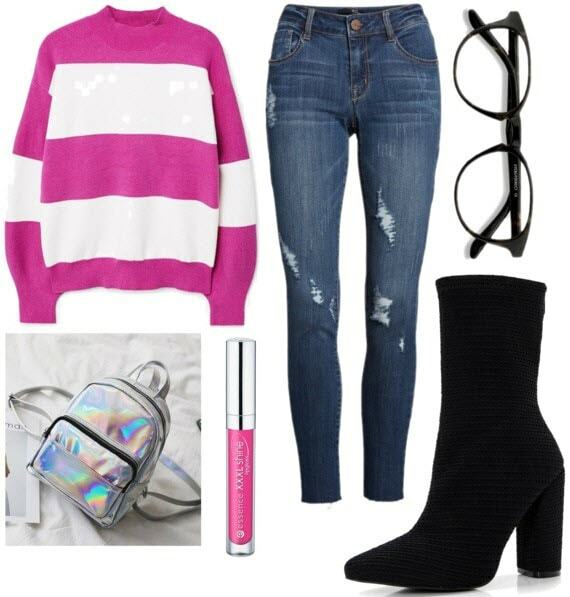 Products: Sock booties – Boohoo, Jeans – Nordstrom, Lipgloss – Forever 21, Holographic backpack – Shop Elettra, Sweater – Mango, Personality glasses – Eye Buy Direct. Holographic print is fashionable and flexible with any look. The holographic backpack gives this outfit a nice finishing touch. 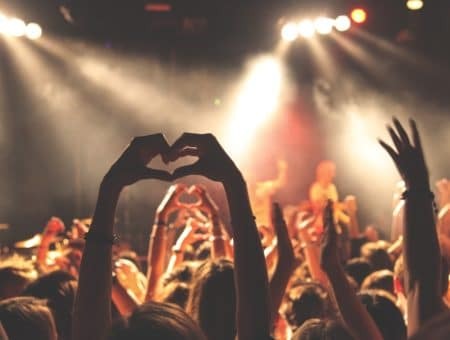 Products: Sock booties – Boohoo, Camo skirt – Pretty Little Thing, Lip paint – Fenty Beauty, Bracelet – Groupon, Crop top – River Island, Clip on earrings – Bling Jewelry. Whether you’re spending a night out with the girls or going on a date with your significant other, this look is impeccable for both. The red camo midi skirt is my favorite item in this set because it stands out in a crowd. Since the skirt is red, combining it with Rihanna’s Fenty Beauty red lip paint is a great finish. I love playing with jewelry for a night out. Styling this black and red outfit with gold accessories provides the right color contrast. Adding a cute gold or red purse will match the outfit as well. What are your thoughts about sock booties? So now that you’ve read about sock booties, what are your thoughts? Is this trend something you’ll be trying? We’d love to hear from you! Comment and let us know.